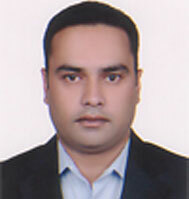 Syed joined INEGMA in December 2007 as a Graphic Designer and IT Assistant. He is a qualified IT professional with diverse experience having worked with many large companies in India. He is a seasoned graphic designer contributing various creative works, web tools handling, and system administration at INEGMA. Syed is responsible for managing and updating the website, and he also handles all the creative design for INEGMA’s print and audiovisual material.